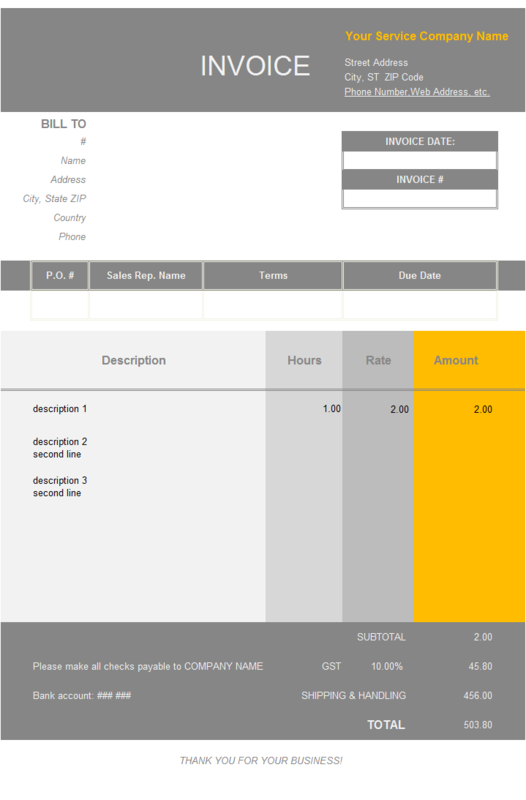 c5062 now includes the customized invoice template for the latest version of Invoice Manager for Excel. This is what you will see when you open salesinvoiceprofittaxable.xlsx. Compared to c5060 Sales Invoice with Profit Calculation, this invoice template adds a column of "taxable" checkbox. 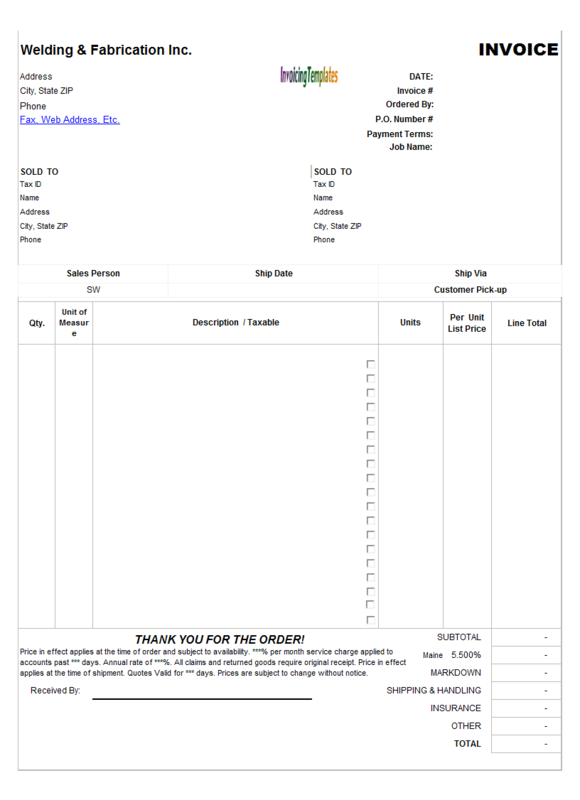 Each checkbox tells Excel / Invoice Manager for Excel (namely Uniform Invoice Software) that whether the current invoicing item is taxable - if the checkbox is checked, this amount of this selling item is included when calculating taxes. 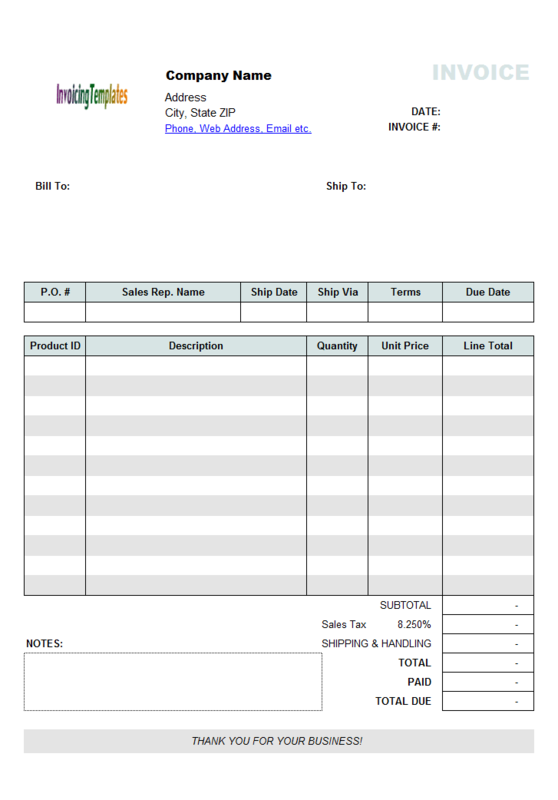 In the original invoice template (and many other invoicing forms that are available here on InvoicingTemplate.com), this taxable checkbox column is placed outside the printable area, which means it is not included when you are printing an invoice, or generating an electronic invoice. 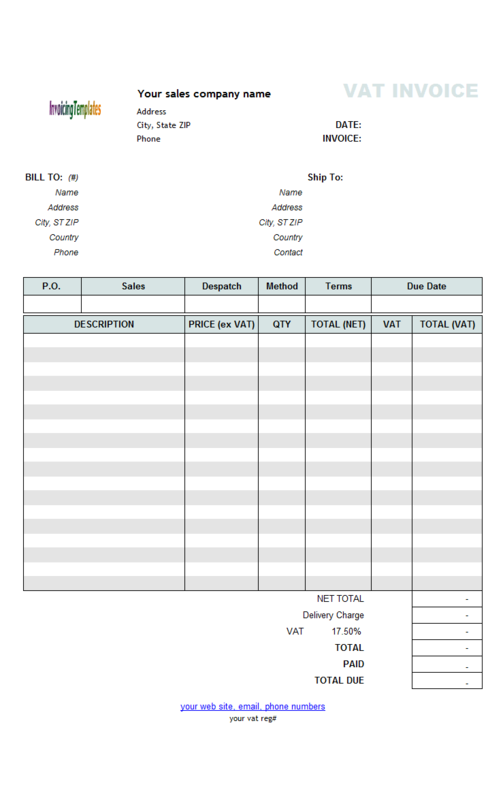 By moving the group of checkboxes into the print area, your customers and clients will see the whether each item is taxable. 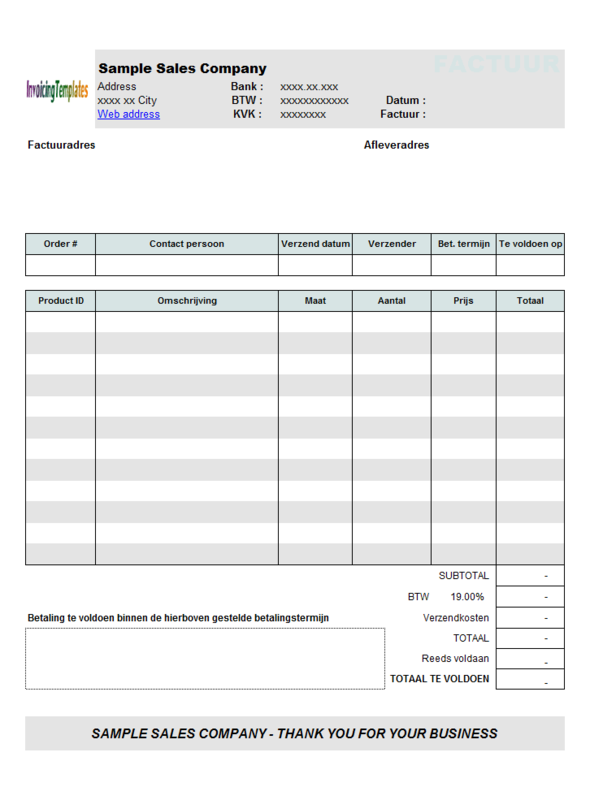 You can download both the Excel and PDF version of this template here on InvoicingTemplate.com - no agreement and contracts to sign, just download and use. 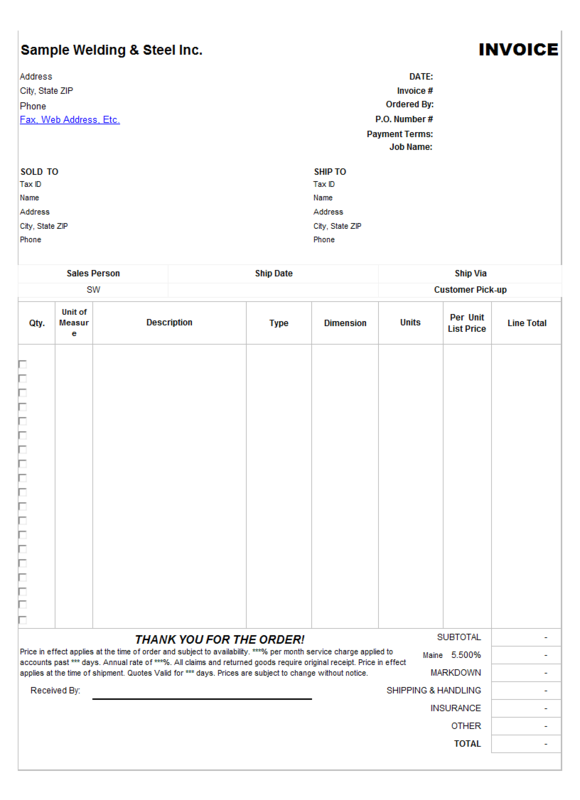 If this template does not meet your business requirements exactly, you can also use it as a starting point or sample of creating your own template. 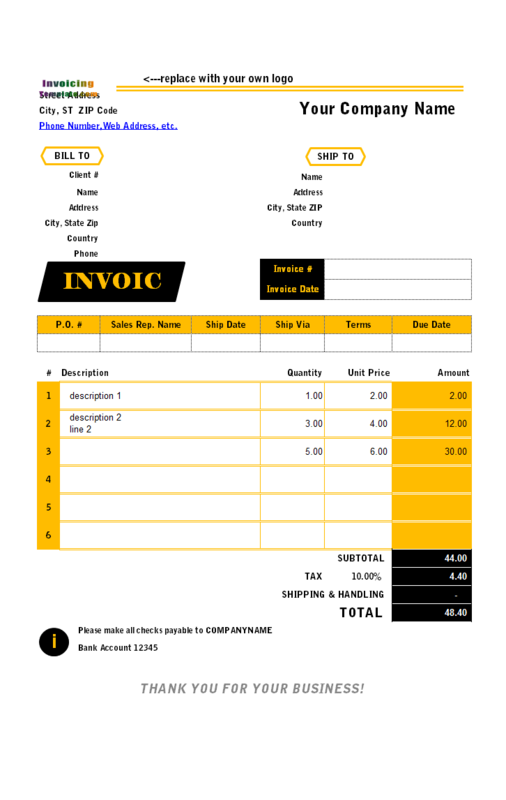 All the designs available here on InvoicingTemplate.com are created based on the default sales invoicing template included in Invoice Manager for Excel (namely Uniform Invoice Software). 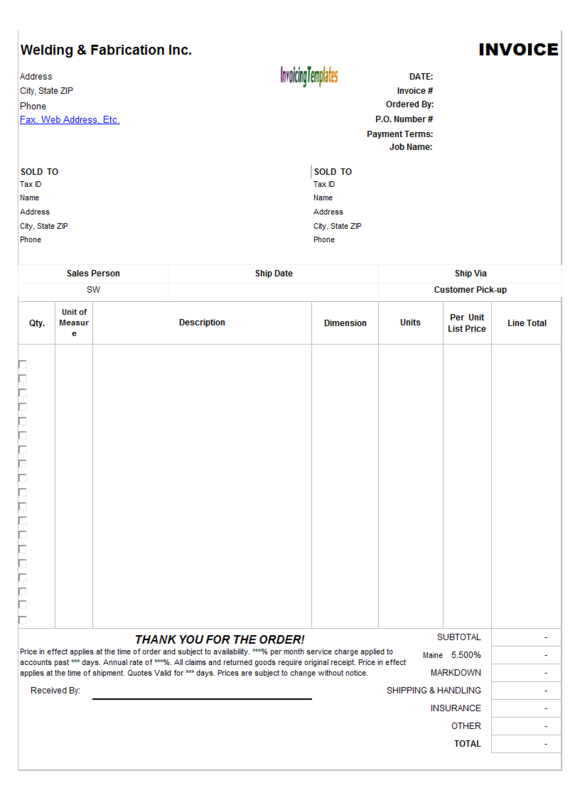 The description on how to do customizations is detailed in the electronic book come with Invoice Manager for Excel (namely Uniform Invoice Software). If you are not a technician and still want to do some customizations on our templates, so that you can bill your customers and clients with your very own style, contact us to get your job done. While we name the program Invoice Manager for Excel (namely Uniform Invoice Software), it is possible to manage your estimates, orders and receipts. 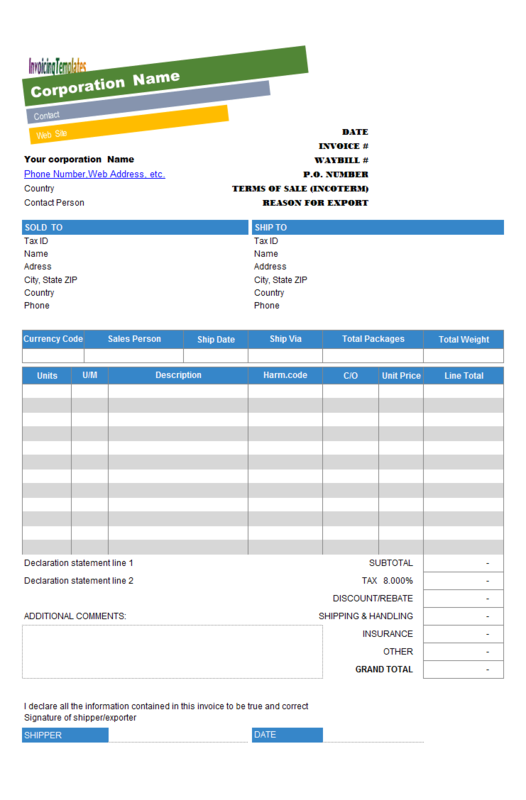 This is a sales invoicing template, meaning that it includes the shipping address section on the printable form. 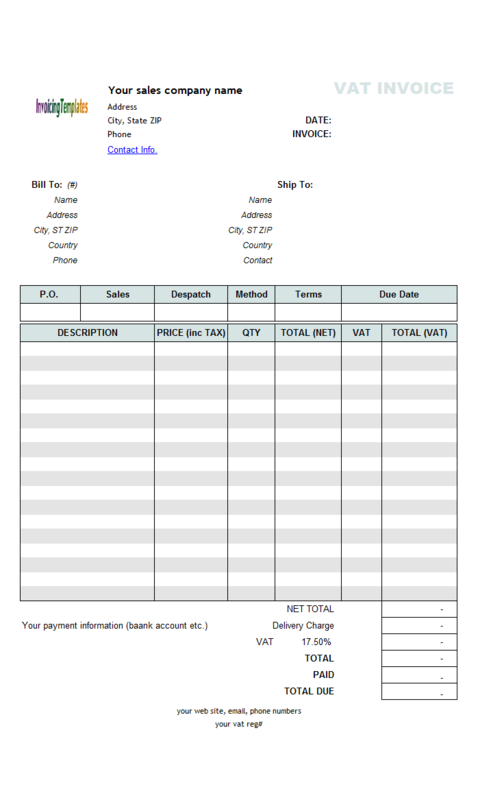 If you are offering services, such as plumbing or as a handyman, and don't need the shipping address section, see Service Invoicing Form with Profit and Taxable Column. 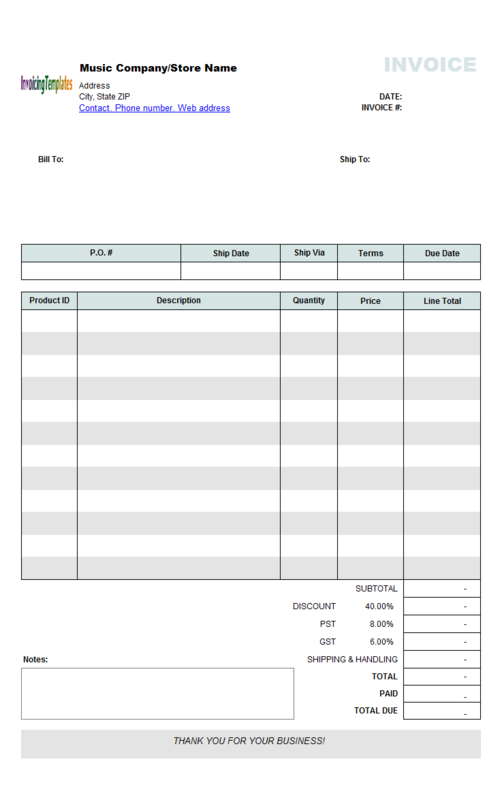 If you don't want to have the Taxable checkboxes to appear on the printable invoicing form, visit Service Invoicing Form with Profit Calculation. 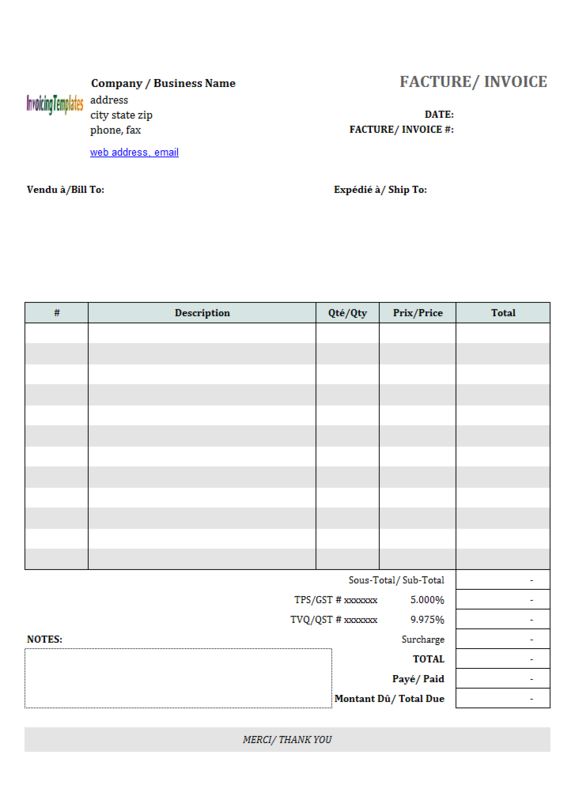 While this invoicing template, Sales Invoice with Profit and Taxable Column, is offered as both a freeware edition at no price and a Invoice Manager for Excel (namely Uniform Invoice Software) edition, the Invoice Manager for Excel (namely Uniform Invoice Software) edition provides more powerful features such as managing products and inventory, invoices and payments reporting, etc. 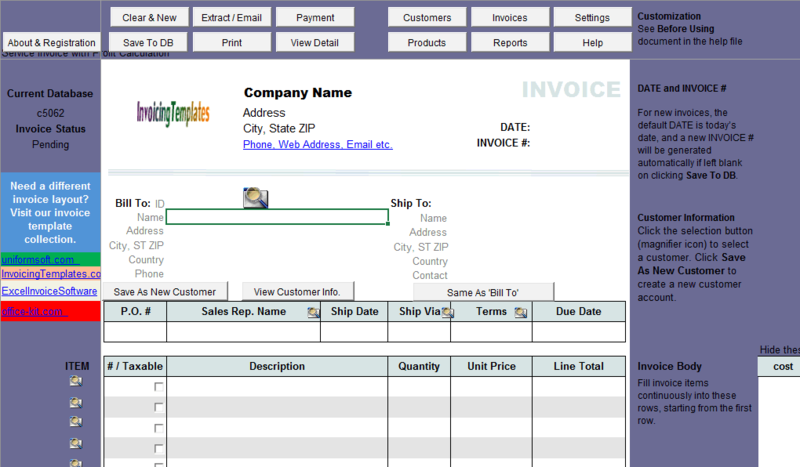 Now we look at the ideas of how to move the taxable checkbox column into the printable form. 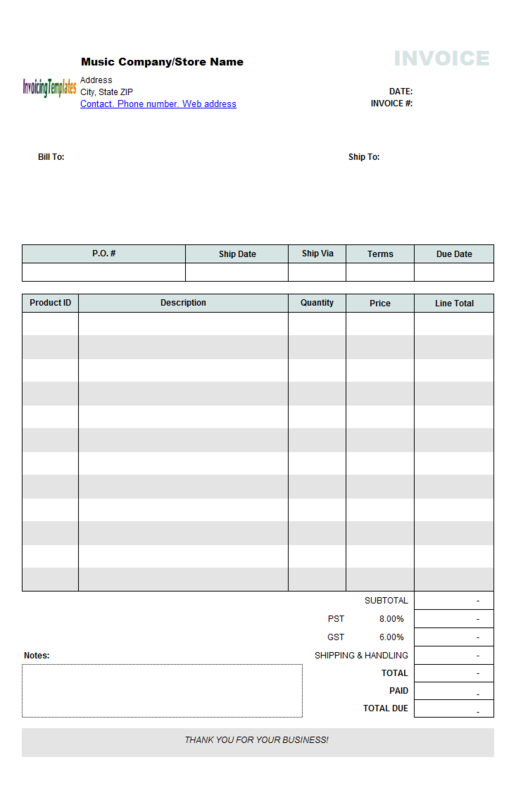 To do this, you first have unprotect the Invoice worksheet, switch the template to design mode, and then drag and drop the Taxable checkbox column to the target location. 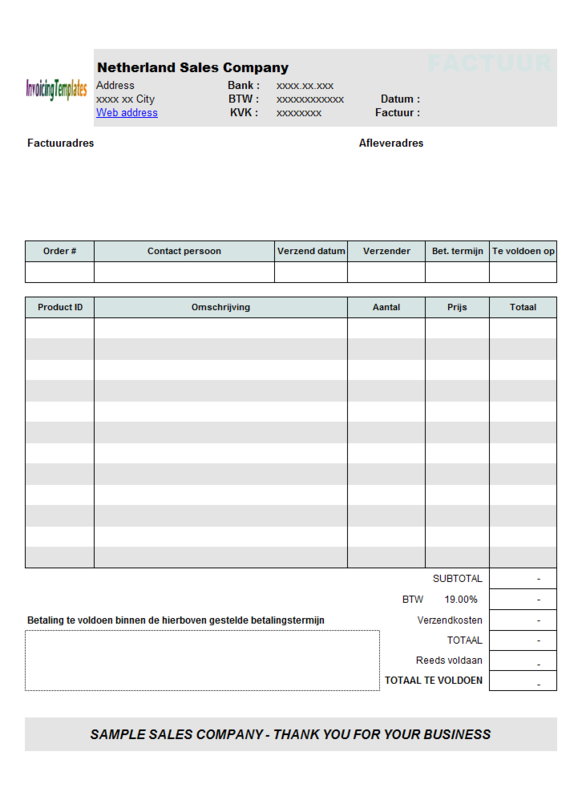 Like other form designs here on InvoicingTemplate.com, Sales Invoicing Form with Profit and Taxable Column is free (offered to you at a price of 0.00USD). It works on Windows XP and all newer versions of Windows, and Excel 2007, 2010, 2013 or 2016.